If you’ve ever sat down behind a sewing machine to work before, there’s a good chance it was a Singer. After all, Singer has built a brand name that’s practically synonymous with high-quality sewing machines. It’s no wonder, then, that the Singer 7258 Stylist Model Sewing Machine is such a popular sewing machine with experienced seamstresses and beginners alike. This is a sewing machine that’s made for people who are serious about sewing, stitching and getting their work done right without all the guesswork. How’s that for a pun? 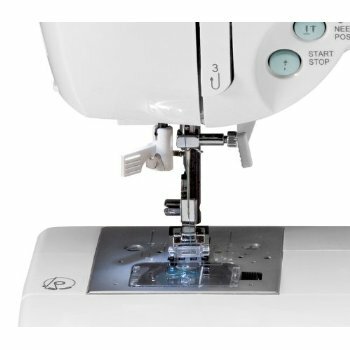 While you might see plenty of sewing machines that offer 10, 20 or even 50 stitch patterns, you don’t often see models that give you 100 different stitch patterns to choose from. But that’s exactly what the Singer 7258 Sewing Machine offers sewing enthusiasts. You get to choose from any of the 100, built-in stitches to help make all of your stitching jobs as flashy, or basic as you want them to be. No more difficult stitch set ups or spending all day to set up the perfect pattern. With the Singer 7258 Sewing Machine, you simply pick your stitch, and get to work. It couldn’t be any easier. When you buy a sewing machine, you are making an investment of your hard earned money. Don’t you want a sewing machine that’s built to stand the test of time? Perhaps one that you could pass down to your children? If so, you’ll love the Singer 7258. 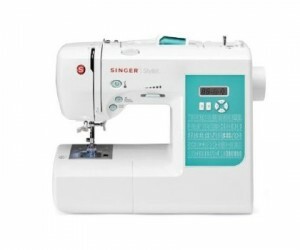 This model is built with Singer’s signature durability and the 25 year warranty shows you how seriously Singer takes their sewing machine’s quality and craftsmanship. While putting this Singer 7258 Sewing Machine review together, we found over a dozen user reviews. And the amazing thing is, this sewing machine has a 4.9 out of 5 star rating. That’s pretty impressive, but in keeping with the Singer reputation. Real life customers couldn’t stop talking about how easy it is to use the Singer 7258, and a few called it their favorite sewing machine of all time. If you’re ready to start sewing like a pro, without all the complicated set up work, you need to find out more about the Singer 7258 Stylist Model Sewing Machine.